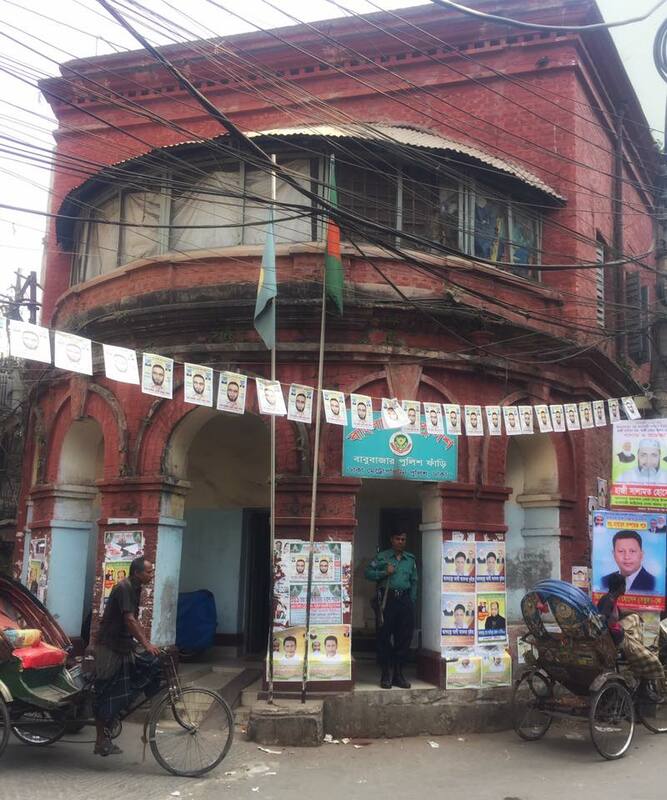 Old Dhaka is always the best part of Dhaka. That part of the city is 400 years old. 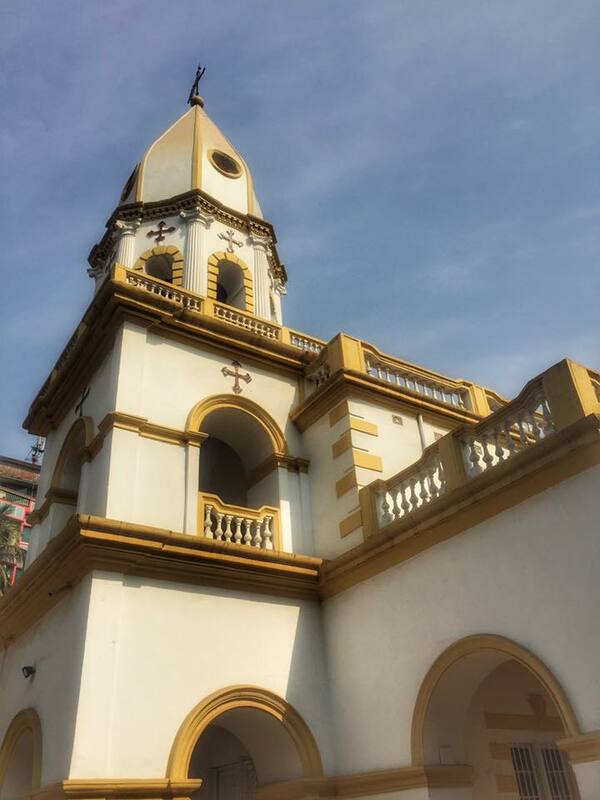 Historic sites, scrumptious food, antique stores and diverse culture makes this part of Dhaka unique. Mesmerizing old Mughal and British era architecture, heritage food corners and busy narrow roads melt my heart. 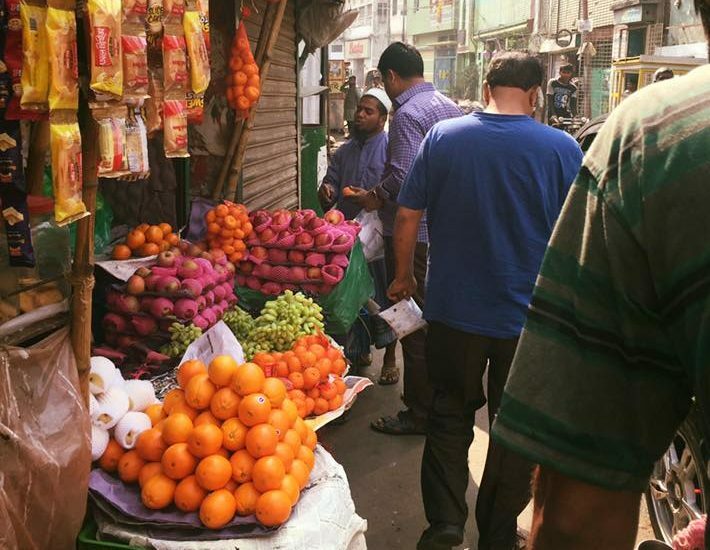 If you have only few hours to spare I suggest set out for a walking adventure in the narrow streets of old Dhaka. The hustle and bustle, the untidy roads will at first make you uncomfortable, but once you get the hang of it, you will fall in love with the madness. Start the journey from Hussaini Dalan. Imambara Mosque is the biggest and perhaps the most colourful historic Shia mosque of the country. Situated in the heart of Hussaini Dalan by the side of a spacious beautiful pond the building is one of its kind. 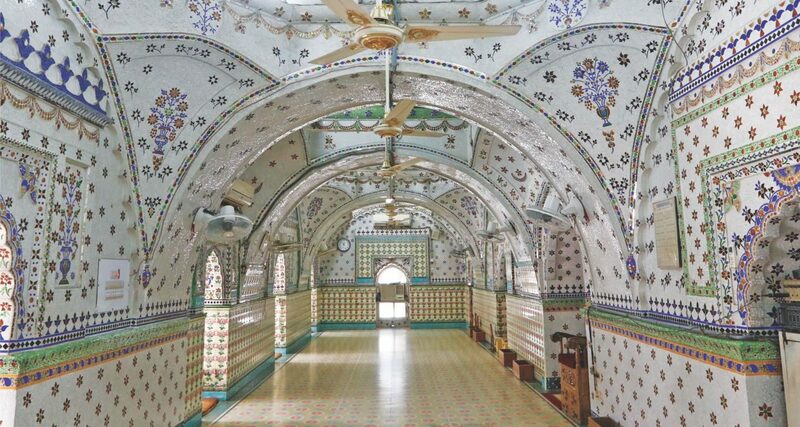 Tall open arches, colourful decorative tiles and marbles, green railings and crystal chandeliers made this place the beauty that it is. Like any other mosque, is quiet serene place and makes you calm and thoughtful. You can sit in the stairs for hours and do your own prayers and meditation. You can also walk around and see the corners that has so many stories to tell. 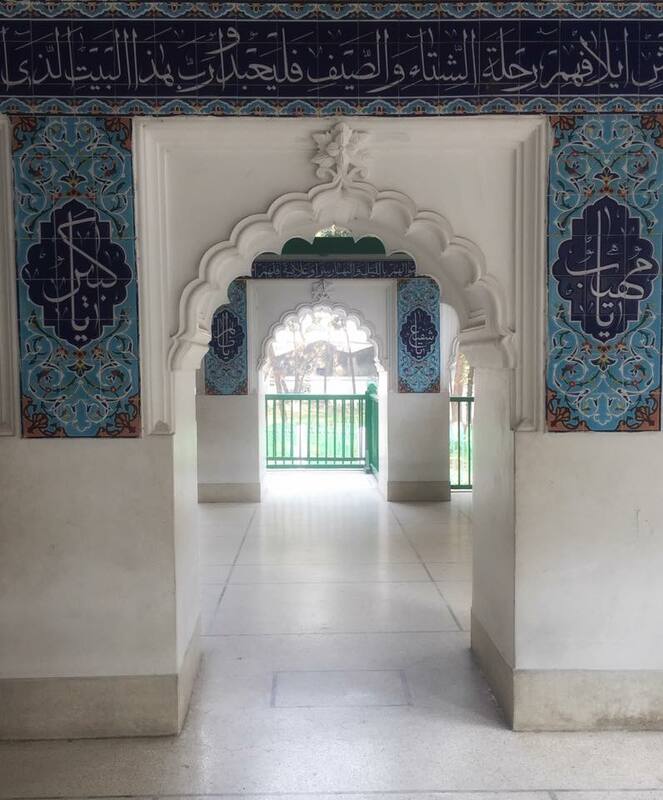 Hussaini Dalan aka Imambara was built as the house for the religious leaders of the Shia community during the later period of the Mughal rule in Bengal. 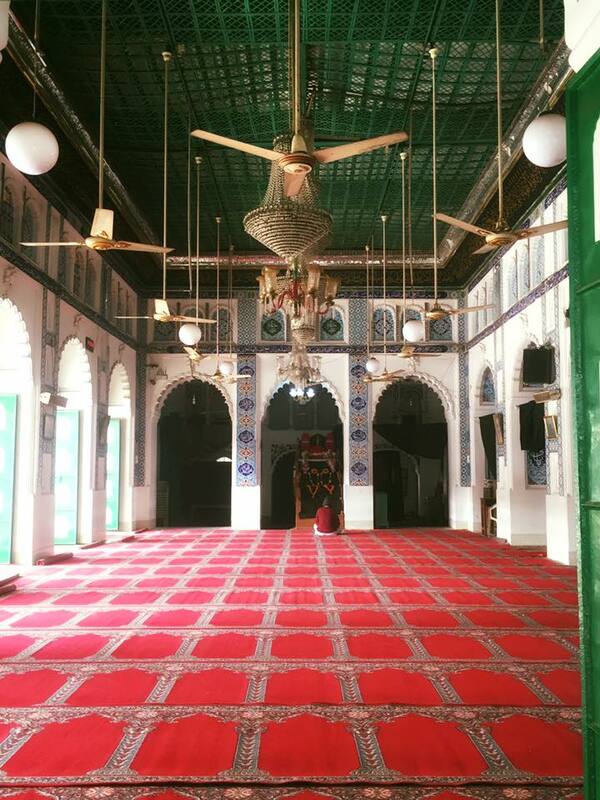 Prince Shah Shuja (r. 1639–1647 and 1652–1660) who was the Subedar of Bengal, built this mosque during his tenure. Though he was from Sunni faith he patronized Shia institions too. 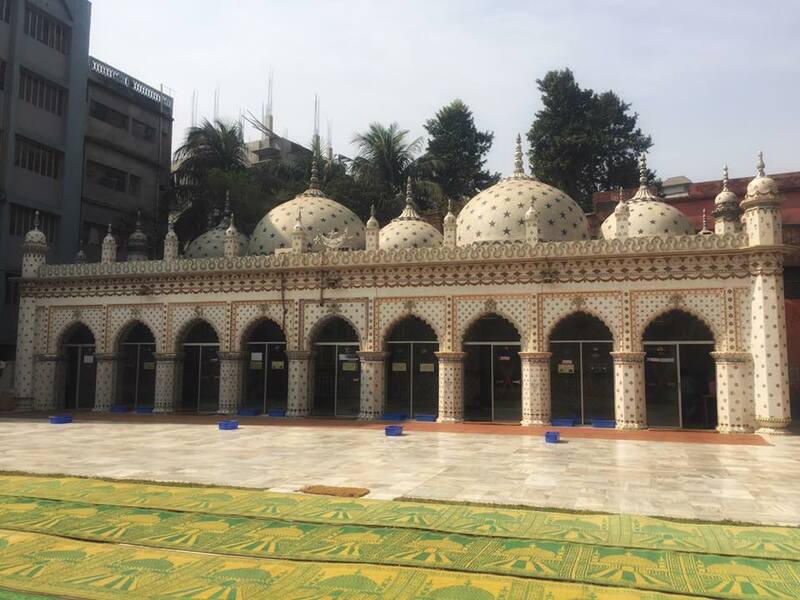 Myth says, “Mir Murad his brother saw a dream of Imam Hussain construct a ‘taziah khannah’, which led Shah Shuja built this Hussaini Dalan in Dhaka. From Hussaini Dalan take a 5 minutes rickshaw ride and go to Tara (star) Mosque, best if you walk. The beautiful blue star mosque is situated in Armanitola, beside the Armanitola School. Built in mid 19th century by Mirza Gholam Pir the Zamindar of Old Dhaka, Tara Mosque has the characteristics of Mughal Architecture. It is not always easy to go inside, however collected this image from the internet to give you an idea about the interior. 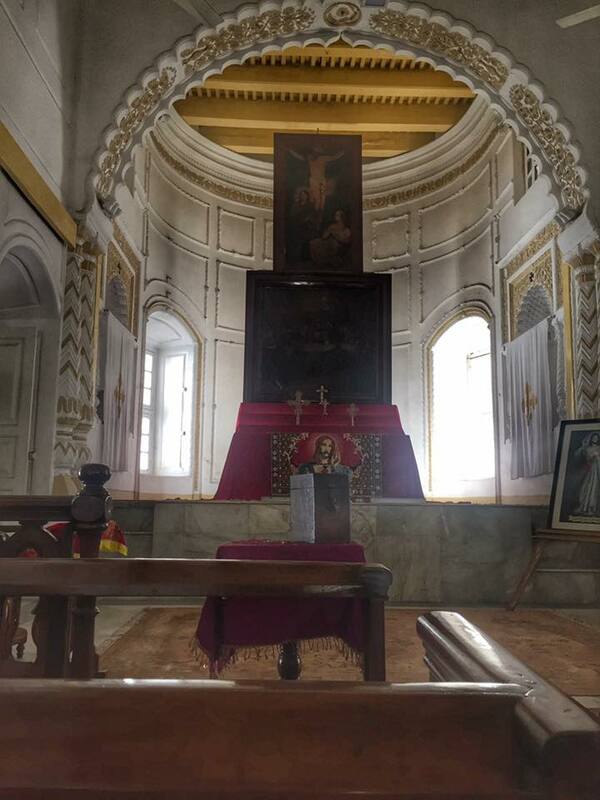 Just 5 minutes walk from Tara Mosque, Armenian church bears the testimony of Armenian existence in Bangladesh during the 17th century. After they lost their homeland to the Persian rulers Armenians came to Bangladesh for political and economical reasons. Agaminus Catachik a wealthy jute merchant gave away the land to build the church in 1781, which was once the Armenian graveyard. It is a quiet place, now almost barren, the friendly caretakers will show you around. We were told only Christmas prayers take place now, and usually closed on other occasions. The beautiful church and the graveyard fills me up always. I suggest to tip the caretakers as they walk you around and tell you stories, little tip will make them happy. 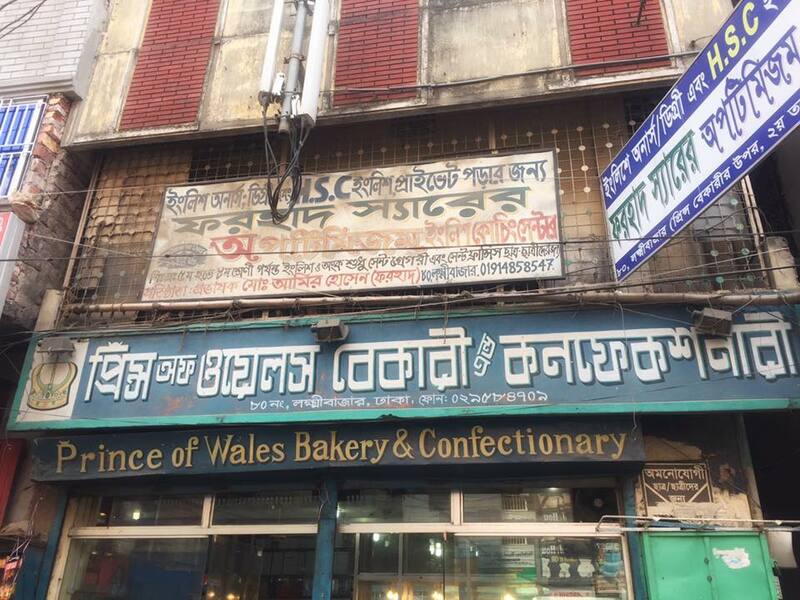 If you need a quick recharge go to yet another heritage place, Prince of Wales Bakery in Laksmi Bazar. The bakery is there is that locality for over 120 years now. The owners claim, that the Bakery was was established 150 years ago by an Englishman. Later the present owners bought it. 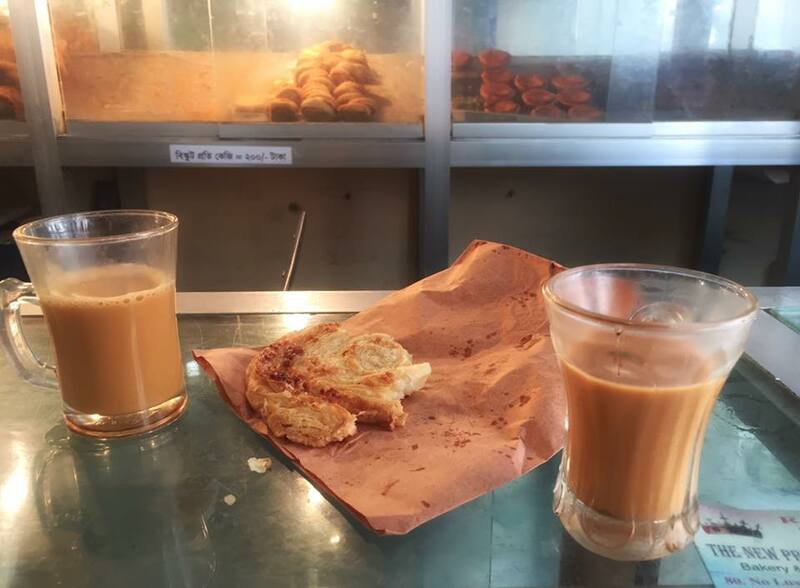 Hot milk tea from the road side tea stall and a Danish from the Bakery makes a mouthwatering mid morning snack. If you happen to be lucky like us, you might as well get the special Christmas Fruit Cake. I am told that the butter bun and cream roll from that bakery is also very tasty.